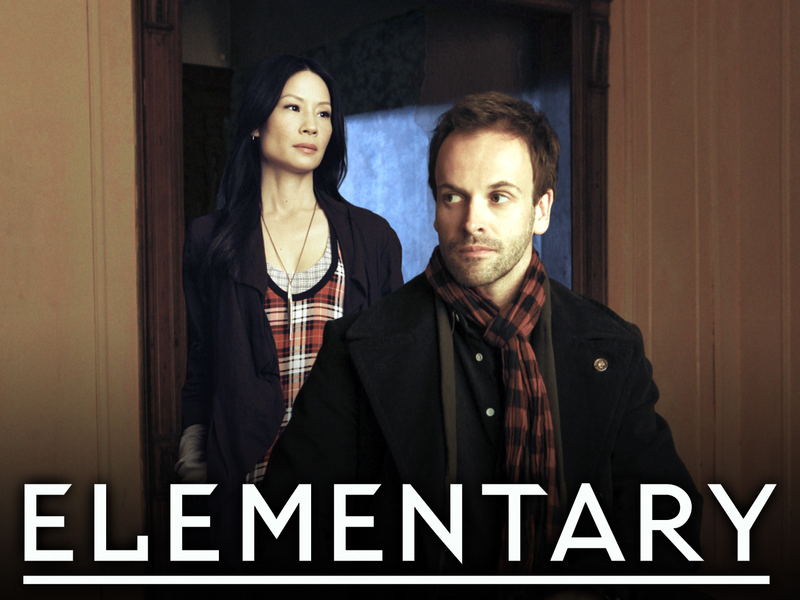 Last night Channel 10 aired the first episode of Elementary, a CBS re-imagining of Sherlock Holmes. It was not an outstanding debut for an 'American' Holmes. The case itself was not that intriguing and I was thoroughly underwhelmed by what was merely a good – not hyper or exceptional – level of observational skills in Holmes. The patches on the wall denoting frames that have been moved or changed, surely that is blindingly obvious and part of the dull first glimpse into Sherlock's skills. The episode is overall ok. There was obviously a lot of potential, so for a pilot it was pretty good. As inducement to watch the series, I'm not sure it would fly without the strength of the Sherlock Holmes canon. However, I would encourage viewers to stick with it. As murder mystery crime drama, it pays off. It is easy to watch and entertaining, with the right amount of dark content and the occasional nod to classic Holmes (the title of the show, for example, being a nod to the line "Elementary, my dear Watson"). As a reconstruction of one of the best known detectives in the world, it is rather liberal. What remains of Holmes is his name, his nationality, parts of his personality and his profession. What remains of Watson is the name and profession; doctor, or former-doctor, who spends time with Holmes as his 'companion'. I know I shouldn't compare Elementary with Sherlock, but it is impossible to avoid a comparison when there is a British and an American re-invention Sherlock Holmes on our televisions at the same time. My conclusion is that they are both enjoyable and both have excellent qualities. Personally, I would infinitely prefer to sit down to the BBC version. The relationship dynamics are better, the cases, though bastardised, bear an infinitely closer resemblance to the original stories. I know that a re-invention takes liberties and that it is a great thing, to re-invent Conan Doyle, Shakespeare, Austin and revitalise a great story. But there should always be respect for the inestimable base material. 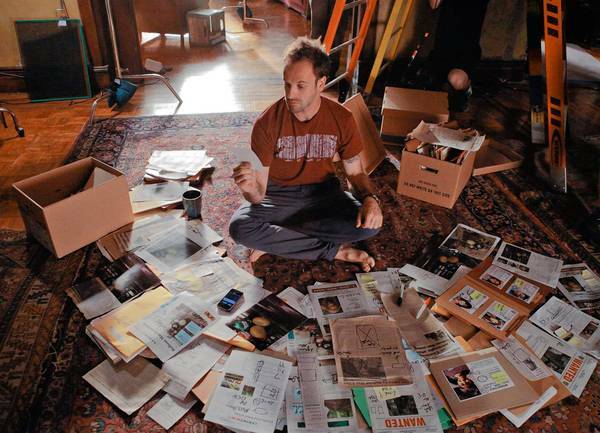 Johnny Lee Miller's Holmes is not as acerbic as Benedict Cumberbatch.. He is less socially awkward. He functions as a person, albeit at teenage-level one for home care. Not too much out of the ordinary there, many people never get around to the washing up. Lee Miller is a difficult but brilliant detective. Simple. Cumberbatch is more 'genius' and significantly darker. Perhaps he is an exaggeration of Holmes that Conan Doyle would not necessarily approve of, but he makes excellent mysteries and excellent television. Fortunately for both shows, they got the central relationship of Holmes / Watson correct. If that fails, the series fails. As the first female Watson, Lucy Liu creates her own excellent character out of the mould of Watsons past. The Lee Miller / Liu dynamic is that it is not as uneven as might be expected. She is a very intelligent and sharp woman who not only manages to deal with, perhaps even 'control' Holmes in a way no one else can, but who takes as good as she gets in biting sarcasm and even occasionally, observational powers. An odd and unimportant part of Elementary that I enjoy is Lee Miller's tendency to wear waistcoats, even over t-shirts. He somehow manages to pull it off. More people should wear waistcoats. Slightly more integral to the story, one of my favourite elements in the Sherlock version is Moriarty. Andrew Scott's Moriarty is disturbing, the evil genius version of Holmes and their 'games' are edge-of-seat intriguing. 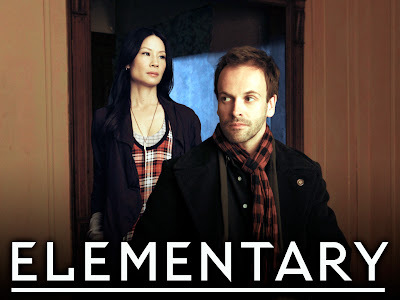 So far in my watching of Elementary, the villains have been scary in a slightly disturbing, child-snatching, break-in sort of way. But there is something about Andrew Scott's twitchy, bored portrayal that makes you enjoy every minute he is on screen and so raise the quality of the show above the usual level of detective crime. 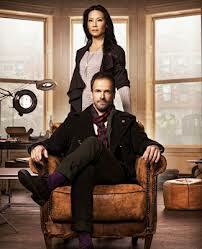 Elementary: worth watching, excellent weeknight viewing. Sherlock: exceptional drama, makes time on the couch a special occasion. Read Jane's review of Sherlock. Or her theories about Peter Jackson and Sherlock.